US President Donald Trump and North Korean leader Kim Jong-un have held their first ever meeting in Singapore. The sides signed a four-point declaration, which includes a commitment to establishing bilateral relations, joining efforts to build peace and the denuclearization of the Korean Peninsula. MOSCOW/BRUSSELS (Sputnik) - The European Union is currently in crisis, and the bloc may want to listen to US President Donald Trump's call for the reinstatement of the G8 format, in order to promote peace through economic cooperation with Russia, European politicians told Sputnik. 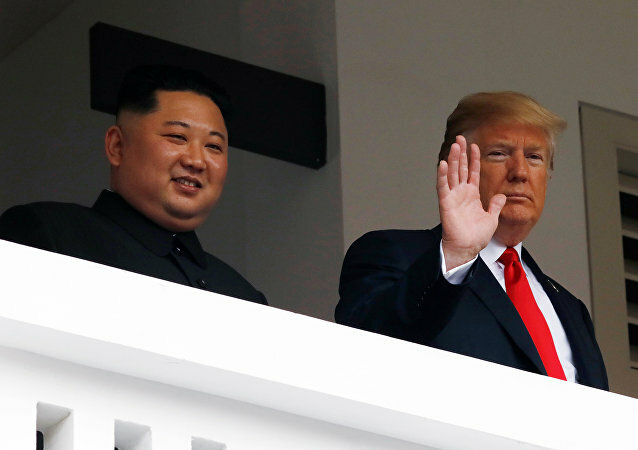 SINGAPORE (Sputnik), Tommy Yang - Without a detailed roadmap for Pyongyang’s denuclearization process, US President Donald Trump failed to obtain the results he expected from the highly anticipated summit with North Korean leader Kim Jong-un, who scored an easy victory, experts told Sputnik. Blockchain developers in India see merit in working with the government's policy of encouraging the technology but shunning cryptocurrencies. Startups are deploying blockchain solutions across industries, although they believe that an open approach to virtual currencies will enhance the benefits. US President Donald Trump and North Korea’s Kim Jong-un met this Tuesday for a summit that aims to end the tense nuclear situation in Asia once and for all. Sputnik spoke with political commentator Dr. Marcus Papadopoulos for more on the topic. 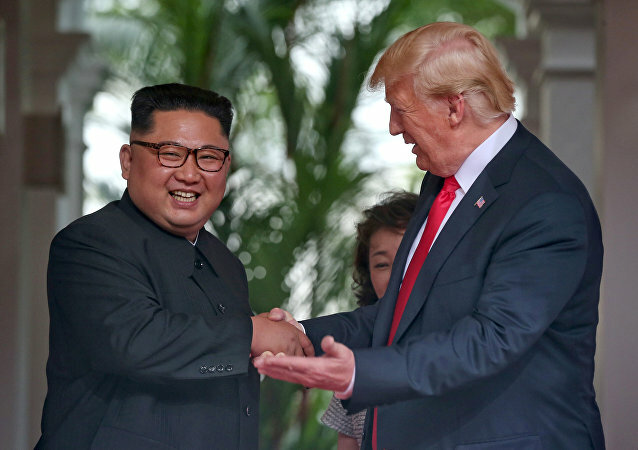 Singapore is abuzz ahead of the historic meeting between US President Donald Trump and North Korean leader Kim Jong Un, the first-ever meeting between sitting leaders of the two countries. Radio Sputnik’s Loud & Clear host Brian Becker is in Singapore for the the groundbreaking affair. Despite an initial show of unity a war of words has broken out between world leaders following the G7 summit in Canada with criticism focussed on US President Trump’s stance during the meetings.